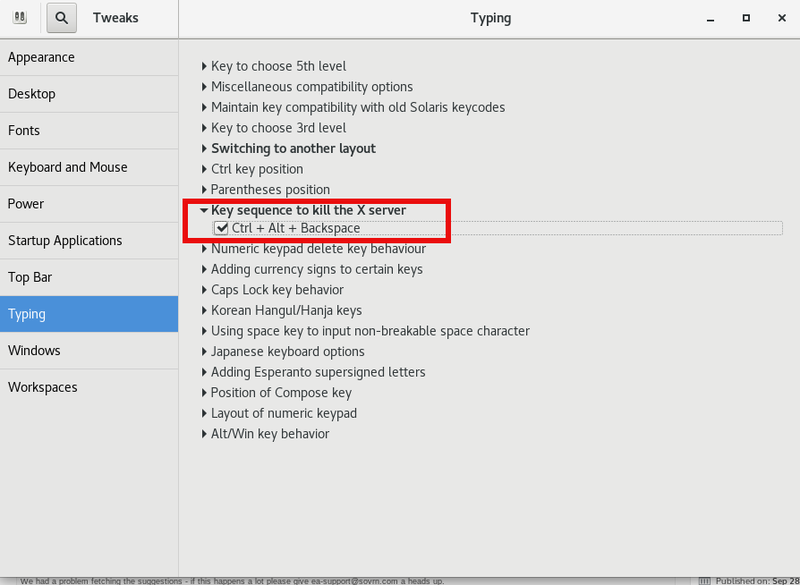 Being a long time GNU / Linux user, I've been quite dissatisfied for the fact that in latest Debian and Ubuntu Linux, the default Key combination to Kill X (CTRL + ALT + BACKSPACE) is no longer working. Though nowdays Xorg (XServer) is pretty stable it still happens from time to time for some application to overload the PC badly and make Gnome or KDE environment little or no responsive at all and here comes the goody CTRL + ALT + BACKSPACE it is pretty much like (CTRL + ALT + DEL) did restarted the computer in DOS and earlier Windows OS-es once the environment became unusable with the only difference that just Xorg server is restarted and the other using programs that are in background work just like they used to. CTRL + ALT + Backspace is a great thing to use especially if you're running some homebrew server and you use it both as a Server with some few little websites and as a Desktop environment to browse the net and do basic stuff. So here comes the question how to make the CTRL + ALT + BACKSPACE keyboard combination be killing Xserver like in the good old days? The configuration should be working across Debian 7, 8, 9 as well as Ubuntu 12 ..14 .. 16 and hopefully in future releases too, just as many other Linux distributions like Mint etc. 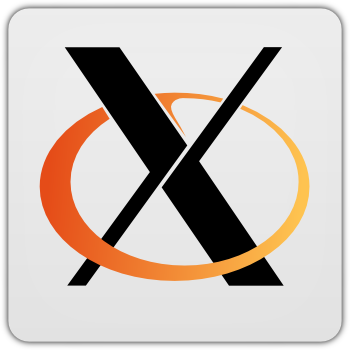 the Xserver Kill Switch setting should be located in same file. If you travel frequently and use your Windows 7 OSed PC in Coffee Clubs and various locations including Airports or public places, you might want to also obfuscate Windows's login screen to prevent it to be easily recognizable you're on a Windows by its default Blue and all known Login and Lockout screns for security or just for personal fun show off your l337 Skills to your colleagues at work and in this article I'll shortly explain how this is possible on Windows 7 the same is easily possible to do also on Windows 8 and Win 10 and I'll explain this as well in a separate article some time I have time in future. 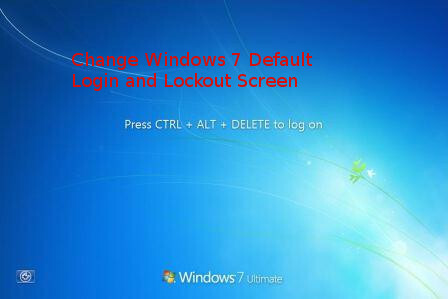 In Windows 7 by default the Login Screen background is identical to its Lock Screen, one that appears on Windows (button) + L combination and through which if the computer is once locked you can login by pressing CTRL + ALT + DEL key combination, after which standardly you're either prompted for your password or if its a Domain connected corporate PC you're asked for your PIN or picture password. 2. 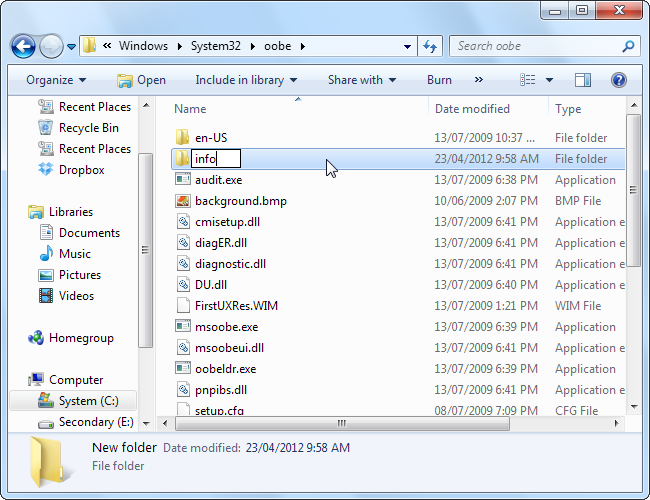 And then store the image you want in a special Windows folder. 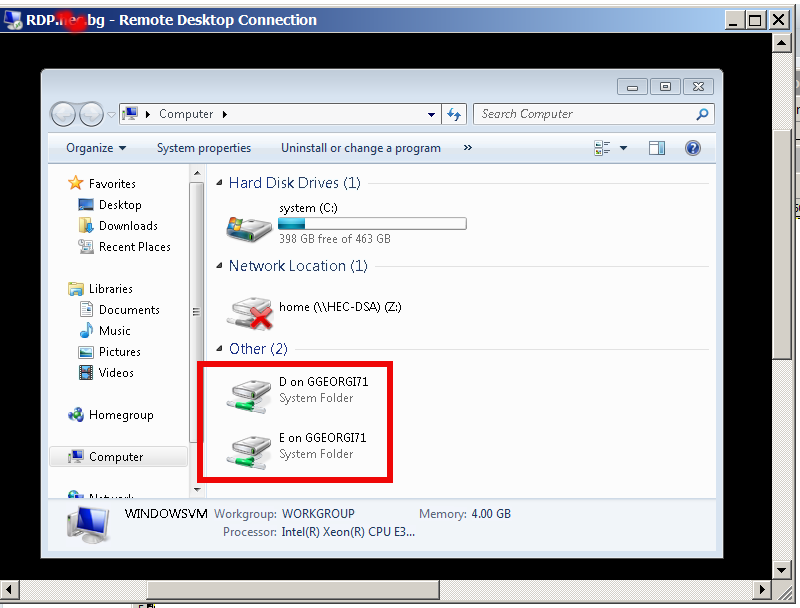 For Windows 7, the ability to set a custom logon background is intended for original equipment manufacturers (OEMs) to customize their systems, but there’s nothing stopping you from using this feature yourself. 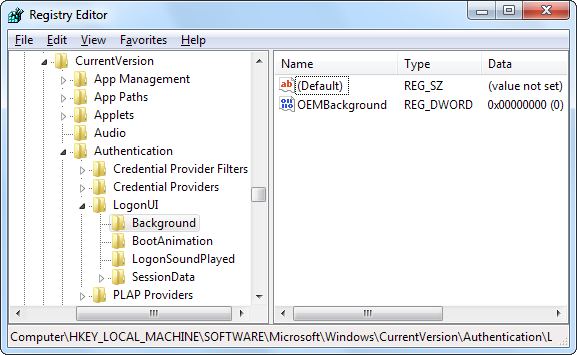 As I said prior Windows 7 background change feature is disabled by default, so you’ll have to enable it from the Registry Editor. 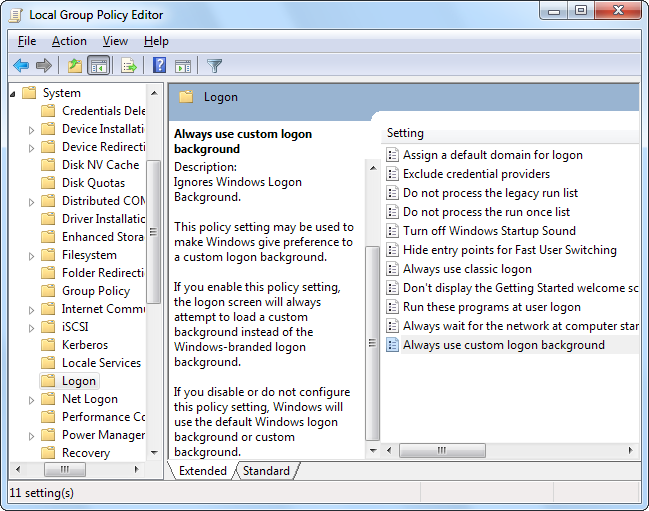 You can also use the Group Policy Editor if you have a Professional version of Windows (or you're configuring the background for a a whole bunch of Domain run Windows PCs). 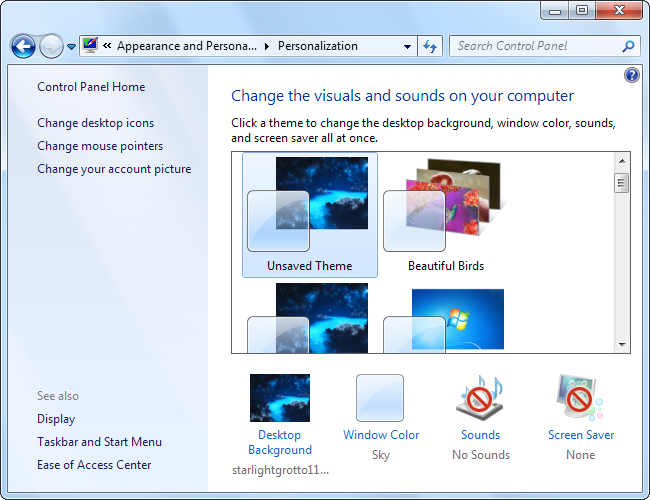 If at any point you decide to select a new theme in the Appearance and Personalization window, this will reset above already made registry value. 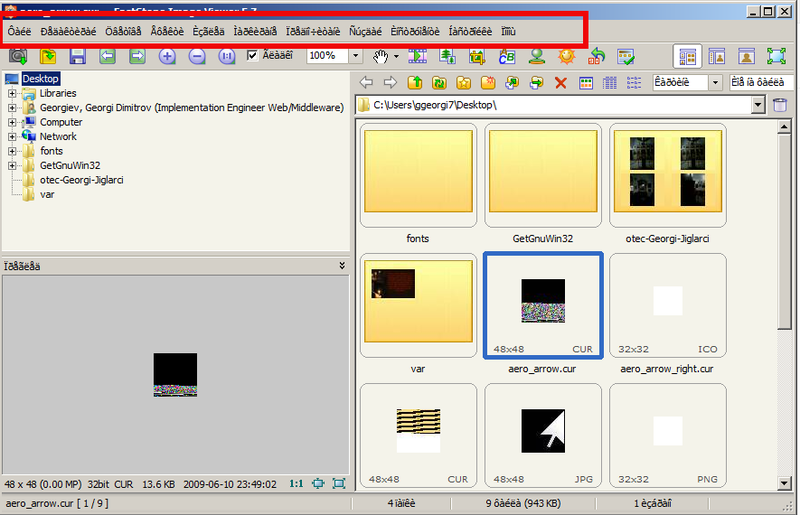 Selecting a theme will change the value of the key to the value stored in the theme’s .ini file—which is most likely 0. Thus in case you do change theme, to have the background be the custom set make sure you don't forget to perform the Registry tweak again. 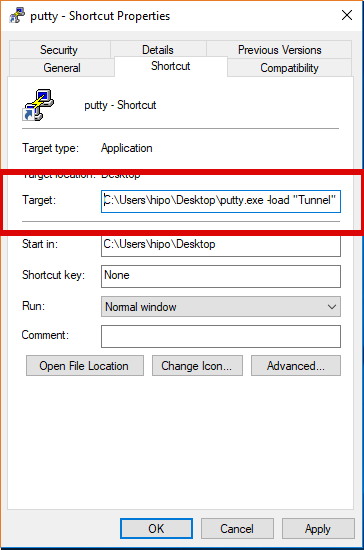 If you're running a Windows Professional or Windows Enterprise alternative way to set custom background is to directly change using the Local Group Policy Editor instead. 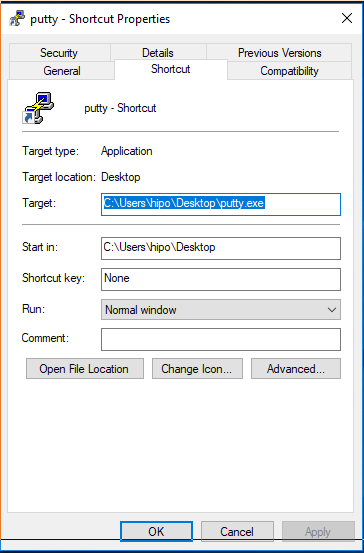 The advantage of using Local Group Policy Editor to set a custom Login or Lockout screen background is it will be kept persistent even if you change your themes. Next step is to actually set the image you want to use. !! 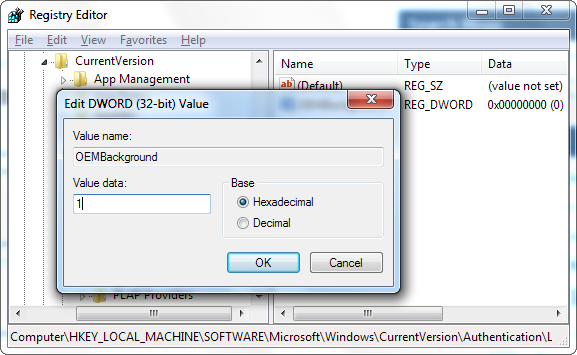 Your image must be less than 256 KB in size. !! You may need to convert your image to something like JPG format to make that happen. Try find image that matches the resolution of your monitor so it doesn’t look stretched. 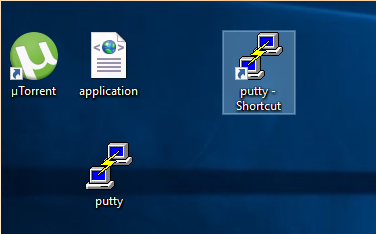 Also defaultly, “info” and “backgrounds” folders donesn't exist, so you’ll need to navigate to C:\Windows\System32\oobe folder and create the subfolders on your own. Some corporate websites and web tools especially one in DMZ-ed internal corporation networks require an encryption of TLS 1.2 (Transport Layer of Security cryptographic protocol) TLS 1.1 protocol both of which are already insecure (prone to vulnerabilities). Besides the TLS 1.2 browser requirements some corporate tool web interfaces like Firewall Opening request tools etc. 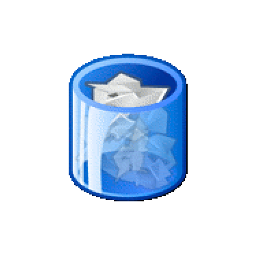 are often are very limited in browser compitability and built to only work with certain versions of Microsoft Internet Explorer like leys say IE (Internet Explorer) 11. 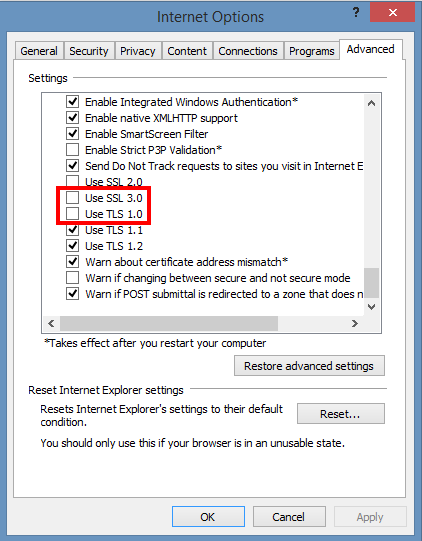 TLS 1.2 is supported across IE 8, 9, 10 and 11, so sooner or later you might be forced to reconfigure your Internet Explorer to have enabled the disabled by OS install TLS 1.2 / 1.1. For those unaware of what TLS (Transport Layer of Security) protocol is so to say the next generation encryption protocol after SSL (Secure Socket Layer) also both TLS and SSL terms are being inter-exchangably used when referring with encrypting traffic between point (host / device etc.) A and B by using a key and a specific cryptographic algorithm. TLS is usually more used historically in Mail Servers, even though as I said some web tools are starting to use TLS as a substitute for the SSL certificate browser encryption or even in conjunction with it. For those who want to dig a little bit further into What is TLS? 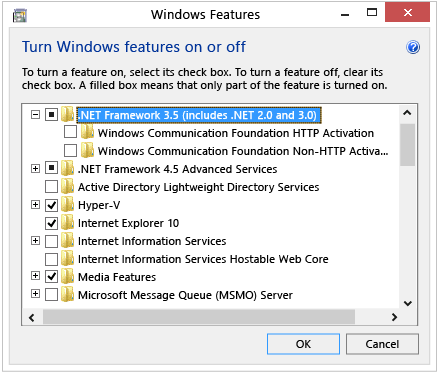 – read on technet here. 2. In the Internet Options box, select the Advanced tab. Use TLS 1.1 and Use TLS 1.2 (if available). 5. Finally Exit browser and start again IE. Once browser is relaunched, the website URL that earlier used to be showing Internet Explorer cannot display the webpagre can't connect / missing website error message will start opening normally. Note that TLS 1.2 and 1.1 is not supported in Mozilla Firefox older browser releases though it is supported properly in current latest FF releases >=4.2. So what is Bloatware ? The term Bloatware (also called jokingly crapware) is term is the one that was coined to describe, the default pre-installed software that comes to you together with Windows pre-installed OS by the hardware manufacturer. 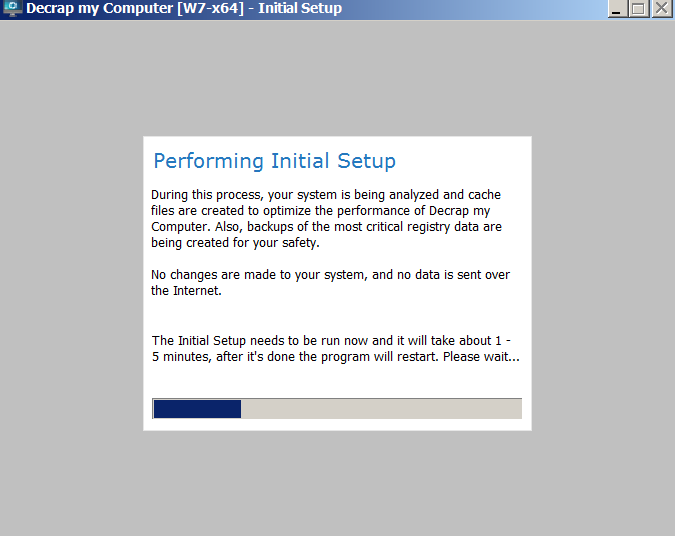 and showing annoying popups or at best keeping useless in Windows system apptray. Many users may want to uninstall ASUS Crapware software such as ASUS Tutor, ASUS LifeFrame3, ASUS WebStorage and ASUSVibe. Like Asus, HP computers often come preloaded with useless software from factory, example for this is HP Customer Service enhancements, HP Update, HP Total Care Setup and ProtectSmart. If you buy Dell PC notebook soon you'll discover that there are several preloaded software (often unnecessery software) such as Dell Stage, Dell Digital Delivery and Dell DataSafe. Toshiba computers and notebooks contain pre-loeaded "crapware" software from Toshiba. Just to mention a few of those: Toshiba Disc Creator, Toshiba ReelTime, Service Station, Bulletin Board and Toshiba Assist. Often there are fingerprint reader programs, Wi-Fi connection managers, Bluetooth managers, Audio Management sofware and other third party vendor software which tend to be not working as good as others softwares from third vendor, so Decrap is to help you to identify and remove these too in a easy GUI manner. 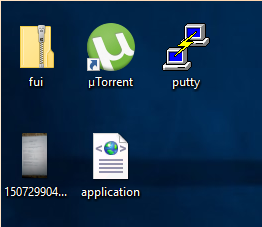 Non-experienced Computer users often leave the bloatware to hang around for even years and only if some relative that is an IT involved person / sysadmin / Even once you're aware that the Bloatware is on the system the ordinary user is hard to remove it as he is scared not to break the system. all the Bloatware components and even then could mislead you so you break the PC. programmer etc. comes home of such users finds out about the happily existing of the useless software on the notebook. 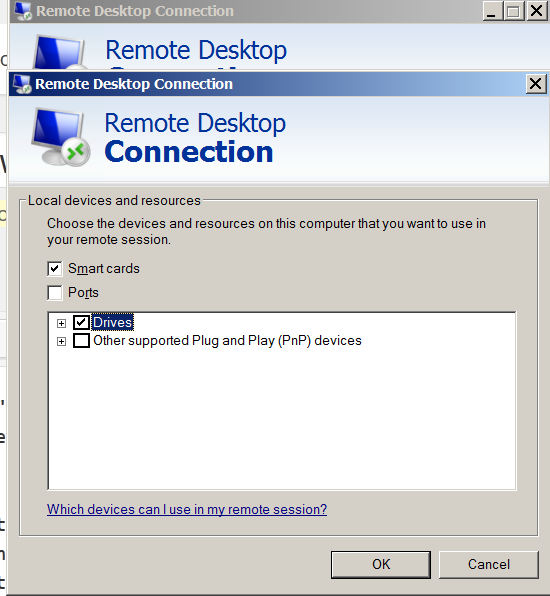 So here is Decrap My Computer coming at place aiming to help to remove the unnecessery Hardware vendor software in few easy (Click, Click, Click Next ..) steps. 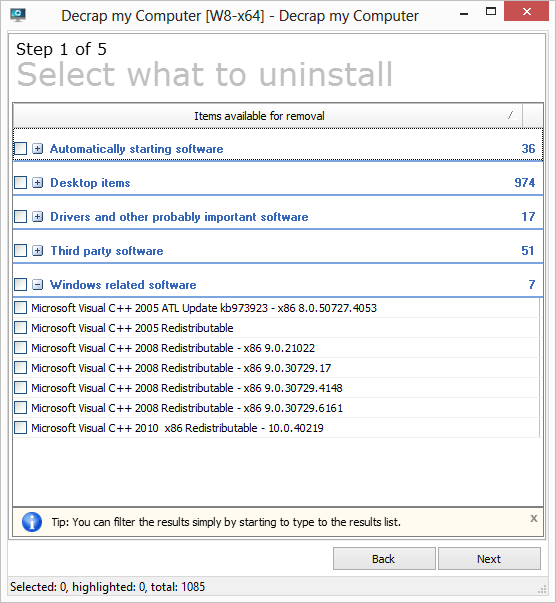 Then decrap does silently all the complex operations and suggestions to make the HP, Dell, Asus, Toshiba manufacturer prebundled software to be stopped and uninstalled. Decrap My Computer is a freeware, lightweight and easy to use and lets you safely remove crapware and bloatware, or any software, from any Windows PC. Even for Old computers, Decrap comes handy for the unexperienced avarage user who used his laptop with this useless default vendors programs silently killing the performance respectively user experience for years. 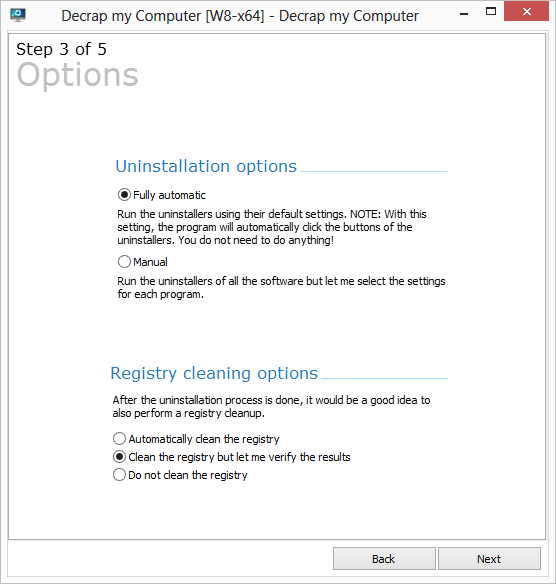 Using Decrap is quite intuitive PC is scanned for Bloatware and then after a backup Windows Restore Point is offered you're offered to review and Uninstall the unwanted softwares. There is also an automatic mode but those one still could be a bit dangerous, so use the automatic mode only on multiple machines with the same model / brand notebooks that comes prebundled with same sofware after testing and confirming the automatic mode on 1 initial machine will not break up some needed functionality. If you work for some huge corporations such as IBM / Sony / Toshiba / Concentrix / HP etc. and you're using a Windows Work Computer (notebook), pre-installed with a custom Company software which is by default configured to use a Proxy Server for all your Browsing activities and at a certain point you start being filtered some of the websites you love to visit so much because of some Corporate policies (limitations) at some filtered sites you will start getting empty pages or some nasty filtering messages. Even if you don't get a filtering message but you know all your Company Internal Network traffic is proxified for the sake of keeping your personal (privacy) high stop browsing using company's default proxy, because all your access requests (passwords) and queries to the internet are probably logged for later (review) in case if you enter the company's paragraph of "non-compliant employee". 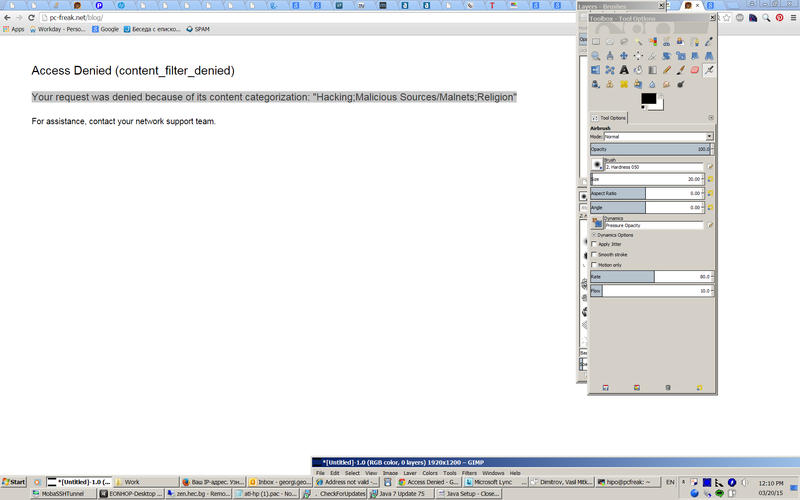 Your request was denied because of its content categorization: "Hacking;Malicious Sources/Malnets;Religion"
You see this guys or automated Proxy filter became so prudent that my site was filtered because it contains some Proof of Concept (PoC) security tools and content related to Christian (Faith) Religion. I guess its the time to think seriously is there a censorship in large corporations and how far could censorship go and if such censorship so easily adopted in large companies wouldn't same happen also on a backbone ISP level in short future?? The fact that Religion is already perceived in same light as Hacking and Malicious Source or Malnet bots is also very eloquent and shows how very big part of people nowdays (including the person that added my site to this proxy filtering rules) think of religion and in what bad state our society and understanding of freedom and respect for others went. Obviously it is time to react to this censorship and stop the evil corporation from spying on your traffic and logging all that matches there "kilometer long" prohibited sites filter lists. There are few ways to do that and the most straight forward is to set-up and use a Own Proxy server such as Privoxy / Polipo or Squid Proxy, however the proxy method requires that your company local network doesn't have too strick (restrictive) firewall rules (e.g. you need some port opened to the Internet such as 8080, 3128, 8118, 1080 standard port for (socks) etc. As many companies are too restrictive in their outbound firewall rules and you might be in situation like with me where Browsers such as Internet Explorer / Opera / Firefox and Chrome are configured to use by default company proxy host (autocache.proxy-ur-company.hp.com:80) (with a custom Proxy PAC file filtering out a whole ranges of useful domains and IPs) and only allowed firewall access outside of local corporate network in on port 22 (for outside ssh session purposes) only. 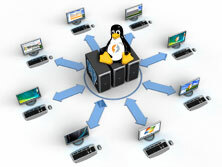 Then your best way to get across such restrictive network configuration is to run your own home Linux / BSD / Windows server with opensshd installed and use OpenSSH protocol Dynamic Tunneling (Proxy socks5 like) capabilities to tunnel all your favourite Web Browser Traffic (lets say Firefox's) through your remote-home-host.com:22. 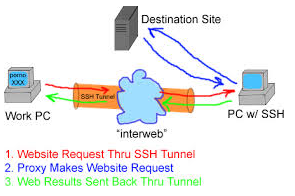 For people who use MobaXTerm it is even easier as there is an integrated SSH tunneling input interface which can be used to create the SSH tunnel. 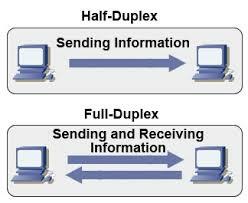 To test whether your traffic is going to the Internet from remote-home-host.com open in just set proxy browser www.myip.ru . You should see your home SSH server IP as IP which made the request to www.myip.ru.